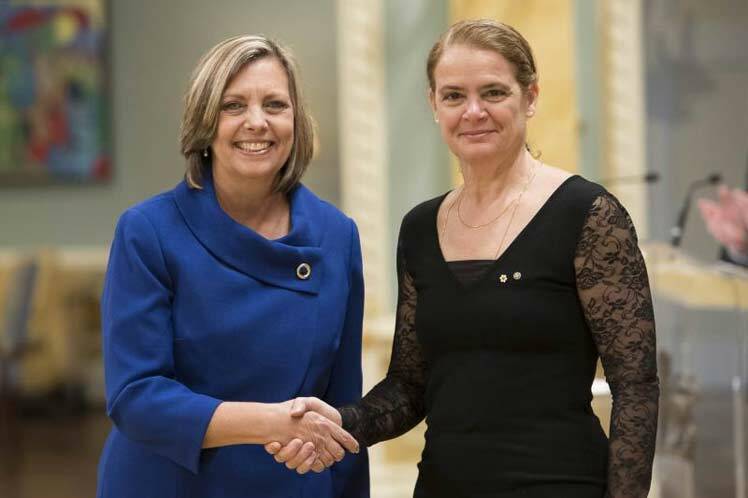 (Courtesy: Cuba’s Prensa Latina) The Governor General of Canada, Julie Payette, today received Josefina Vidal in solemn audience, who introduced her to the Letters accrediting her as Ambassador Extraordinary and Plenipotentiary of Cuba in this country. During the ceremony, which took place at Rideau Hall, the official residence of the governor, Vidal had an exchange with Payette, who expressed the interest of the Government of the Greater one of the Antilles to broaden and strengthen the traditional mutually beneficial relations between the two nations and peoples, a note from the Cuban embassy here. Before being appointed to represent the government in Havana in Ottawa, Vidal was director general of the United States in the Chancellery of the Caribbean island. On December 17, 2014 the Cuban president Raúl Castro and his American counterpart, Barack Obama, announced the decision to restore diplomatic relations between the two countries and to move toward the normalization of bilateral ties, a process in which Josefina played a role of first order. From 1999 to 2003 was first secretary of the Cuban Interests Section in Washington and subsequently took over as General Manager of North America of the Ministry of Foreign Affairs of the Caribbean island, work which she did until being appointed ambassador to Canada. Payette occupies the position since October 2017 and her functions eminently protocolary meetings as representative of the Queen Elizabeth is also preside over the inauguration of the Prime Minister, the chief judges and members of the Cabinet. During the first 85 years of the existence of Canada only British personalities occupied that position, all with aristocratic titles, and became the first Canadian to reach the post was Vincent Massey in 1952, while the first female to head that office was Jeanne Sauvé, in 1984. Editor’s Note: Josefina Vidal was among 16 Cuban spies handpicked by the FBI and Defense Intelligence Agency for expulsion in 2003. 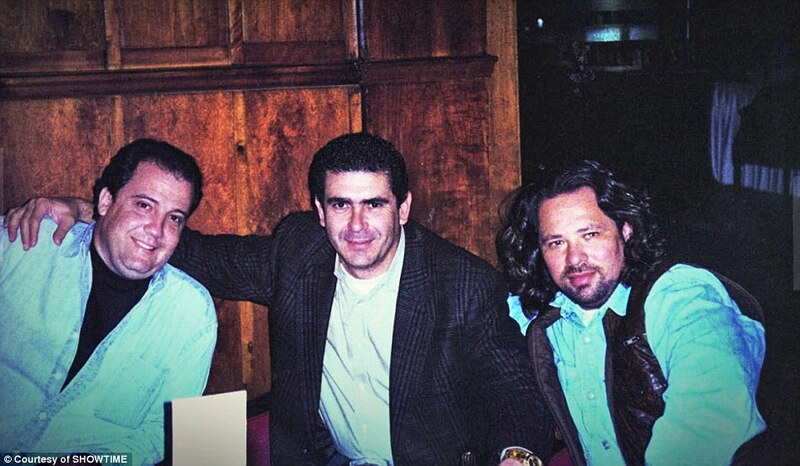 The Cuban spy-diplomats were thrown out in retaliation for Havana’s targeting of US operations against Iraq. Vidal is assigned to Department M-I (US Targets) of the Directorate of Intelligence. Theoretically, Havana’s spies must retire from their spy service before they came become an ambassador. Marita Lorenz was just 19 when she met and fell in love with Fidel Castro. It was February 27, 1959. The Cuban revolution had just taken over. She sailed into Havana Harbor aboard the German ship her father captained. Almost six decades later, Fidel Castro’s former lover lives in an assisted living facility in New York City, yet can recount her story of love and lies in full detail. She said she was recruited by the CIA to work as a spy in New York. She claims to have met Lee Harvey Oswald in Miami shortly before the assassination of John F. Kennedy. She’s German American and is not fluent in Spanish. But she says she picked up a few words because of her time with Castro. She says Castro came aboard her father’s ship looking for her dad. But she says her father was napping, so she greeted Castro and the others. She says after meeting him, she returned home to New York but got a call that he wanted her by his side. 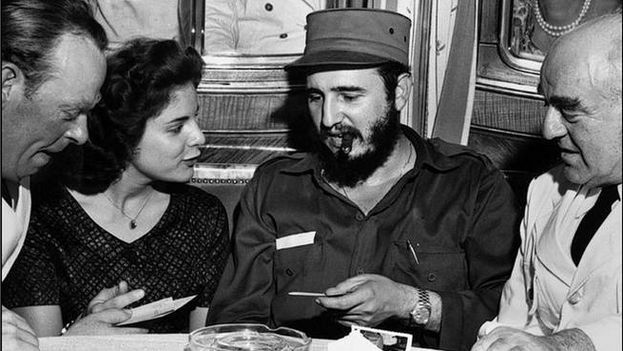 So, she returned to Havana and stayed with him for eight and a half months living in the Havana Hilton Hotel, renamed the Havana Libre after Castro took power and turned it into his headquarters. She says it was there in Room 2408 that their love affair began. Lorenz says she soon became pregnant with Castro’s child, but says it didn’t end well. Over the years, she’s given conflicting versions of what happened to her pregnancy. She told NBC 6 that the last thing she remembers is being given a glass of milk to drink at eight months pregnant. 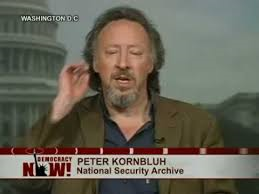 Cuba apologist Peter Kornbluh, who rarely misses an opportunity to blame the United States for events in Latin America, has struck again! In last week’s issue of the progressive weekly, The Nation, Kornbluh published “What the US Government Is Not Telling You About Those ‘Sonic Attacks’ in Cuba.” His scintillating subtitle makes the incredulous statement: “The key victims were CIA agents. Not a single tourist was affected….” We are fortunate Kornbluh wrote that, since his complete disregard for the facts saves us from wasting any further time on this inaccurate and poorly-researched diatribe. Meanwhile, the Canadian media has recounted that 10 of the 20 Canadian diplomatic households in Havana reported at least one household member with unusual symptoms. A National Post article on 1-4-18 found that children were among those targeted. Shortly thereafter, Global News announced on 1-10-18 that eight Canadian diplomats had fallen ill. It’s information came from a Royal Canadian Mounted Police investigation.